The old adage “Prevention is better than cure” doesn’t only apply to your personal life, but also to your roofs. American Enviromental Service recommends scheduling proactive maintenance for more savings and longer roof life. 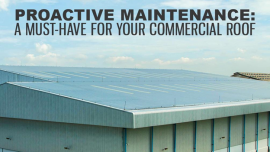 Being proactive when it comes to maintaining your commercial roofing in Virginia Beach, has been proven to extend a roof’s life span. For example, scheduling yearly inspection from American Enviromental Service can assess the condition of your roof. We will look for signs of damage and recommend the necessary repairs before the issue gets worse. Here’s a rule of thumb that you can follow: consider repairs if your roof will live up to the end of its original service life without exceeding the cost of a new roof. 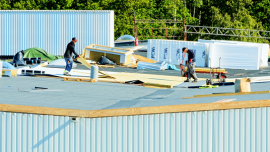 If you’re getting a commercial roof replacement in Suffolk, we recommend that you choose a strong material with low life cycle costs. This way, you don’t have to schedule emergency repairs frequently. Yearly roof inspections also ensure that the previous repairs worked and that your roof is free of any costly damage. When it comes to preventive maintenance, always work with expert roofer American Enviromental Service. We have the right equipment and safety tools to handle any kind of roof replacement or roof repair in Norfolk, VA. We also know which materials will work better on your property. Another reason to work with professionals like us is to ensure proper installation and repair work. Keep in mind that approximately 40% of roofing issues happen because of improper work. Preventive maintenance is a sure way to extend your roof’s service life and save more money on repairs. 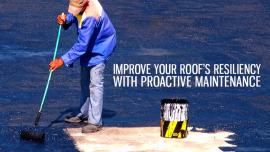 To ensure more protection against the elements, we can install elastomeric coatings on your roof. They have reflective properties that improve water resistance. This way, you don’t have to worry about moisture-related issues like rot. 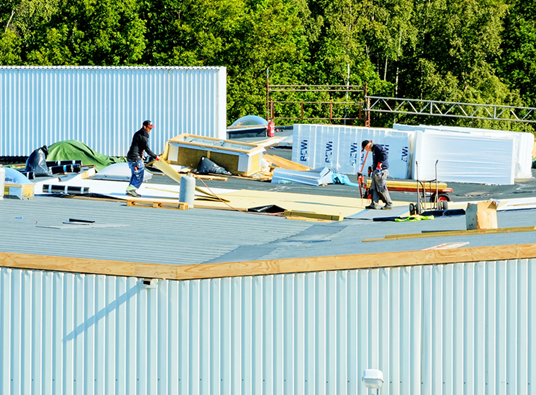 For a proactive approach to roofs, American Enviromental Service is a name you can trust. Call us today at 1-(804) 585-3035 to learn more about our preventive maintenance service. You can also reach us through our contact form.